In Relationship Consultation and report you will get following: Relationship status analysis (third house, fifth house and sixth house) of Kundali, identification of malefic planets for the reason behind problems and best possible remedies for the solution. As per the love marriage astrology, a person needs love when he is in the presence of Venus. When a person quests for love, there is a strong influence of planet Venus. The 7th house is responsible for the marriage possibilities of a person. If the 7th house is not in relation to the 5th house or 9th house, love won’t be converted into marriage. 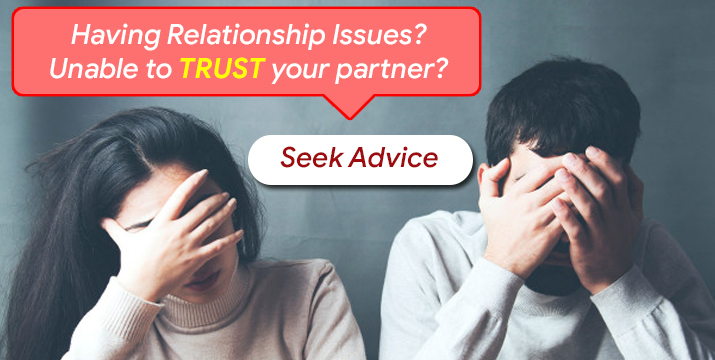 Get Complete consultation and Report about the Relationship issue in your birth chart from famous Marriage and Relationship Astrologer Swami Gagan, book the consultation by making payment via given button. How Astrology will help me in my life? Origin of Astrology and Spirituality is not only to predict the future. “Astrology is not which predicts your Future, Astrology is which creates your Future.” As per the planetary position and upcoming Dasha, you can plan your future actions, and get the best output. It’s just like a Navigation App that tells you to take alternative route due to road construction, so that you plan your trip accordingly. Why am I facing this problem & what is the solution of it? Everything that is happening in this universe has a reason behind it. And with the help of horoscope analysis we can find the reasons of problem and once we come to know about the problem then the remedies are suggested as per Vedic Rituals & our Shastras. Do these Remedies really work or helpful? Origin of Astrology is not only to tell your problem but it also tells how you can resolve it. With the help of Vedic rituals like Mantra, Ratna, Daan, Puja(worship) aur Snaan. If you follow the rituals as per the Shastriye Niyam and with full faith, then surely it is helpful. 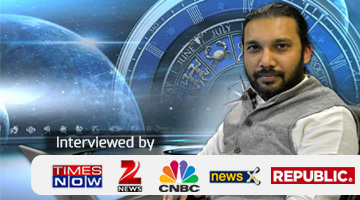 How astrology will help me in choosing my Career, Business & get successful? If you choose your career or business as per your stars & planetary positions, then definitely you will attain success in life. Destiny & Karma goes hand in hand, if you put Karma in right direction then no one can stop your success. How Astrology will be helpful in Love, Relationship and Marriage Related Matters? Relationship has great importance in Astrology as our happiness depends on it. Either will we face any problem in our relationship Like with Love or with life partner? Any Chances of break the relationship as per planetary position? Longevity of relationship? Extra marital affair etc. Therefore the concept of the matchmaking given the great importance in it. Hi my name is Paramjeet, i am from Quebec and since here there are not many people whom you can trust for astrology consultation, but then i came across this website shivology.com where i opted for a skype consultation. Swami Ji is very much experienced in his field and provides easy to do remedies. I would surely recommend him over others. After consulting 3-4 Astrologers, I have not seen any Astrologer whose guidance will help you in removing the negativity around. I was going through my toughest time when I met him, his aura brings positive vibes when you talk to him. Definitely one of the best. He is not like every other astrologer. He consults and guides you in every aspect and offers you best remedies for your problems. I was suffering from many problems related to my business, and tried many astrologers but no one gave any good solution, then i met swami ji and he suggested me some vedic remedies which has helped my business grow to good heights! would recommend to everyone. His guidance is not only for the present situations but for future situations and problems as well. He goes in depth of the problem and gives you the best possible solution. I opted for a Horoscope Report and consultation, and he is actually a good Astrologer. The horoscope report that I got was very detailed and the consultation experience over the phone was also very good. I would definitely meet him in person whenever I will travel to India. and proceed to make payment.